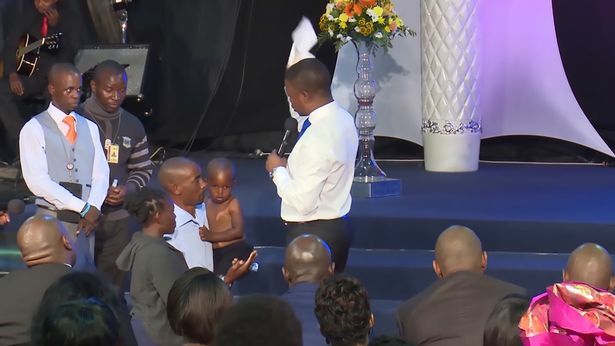 A controversial pastor ,Shepherd Bushiri who once insisted God had blessed him with a private jet that no one else has now claimed to have brought a little boy back from the dead. 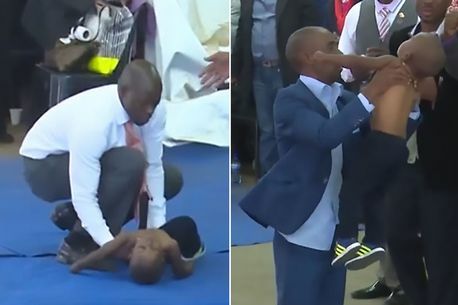 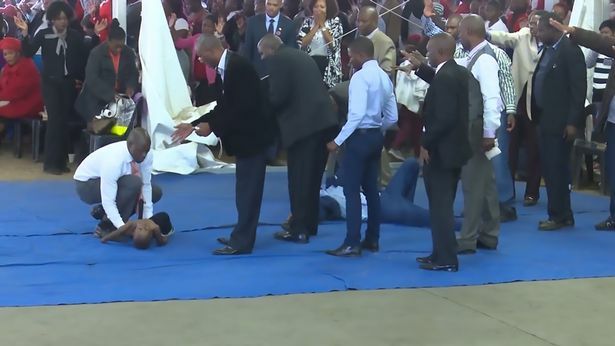 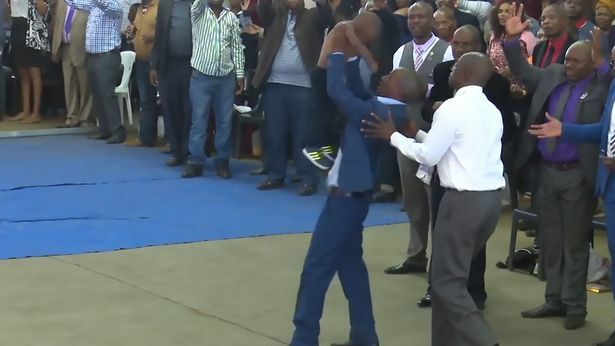 In a now viral footage shot inside the Enlightened Christian Gathering Church in Pretoria,South Africa,shows healers purportedly reviving a youngster they say had been declared dead by doctors. 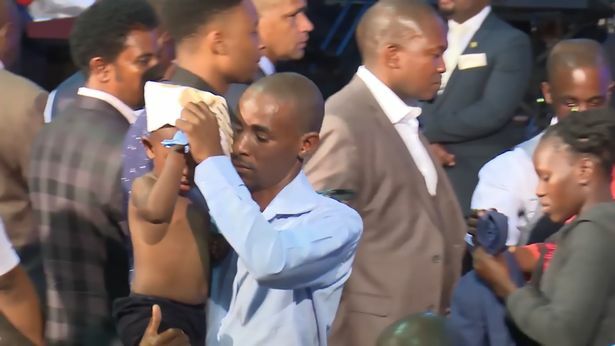 The footage, which has gone viral, then shows the young boy being blessed with holy anointing oil, named the Lion of Judah.The footage does not show when the boy woke up but shows him awake.